For those who prefer to pay with cash and avoid the credit card debt cycle altogether, building a solid credit history and high FICO score can be a challenge – but it doesn’t have to be. Only a small portion of your FICO score is based on having and using revolving credit. The first step is to understand what goes into your score. The majority of your FICO score is based on your payment history and your balances. Pay your bills on time and avoid carrying credit card balances, and you’re well on your way to an excellent score. Payments – 35%. Your payment history is the most significant factor in your credit score. A single late payment can stay on your credit report for two years. Collections, bankruptcies and other negative items can remain for even longer. Debt load – 30%. This portion of your score reflects how much debt you carry. This is where credit cards can really hurt you. The people with the highest scores carry balances equal to no more than 10% of the limit on each card. Don’t charge up or max out any one card. File age – 15%. The older your accounts, the more points you will receive. Inquiries and account variety – 10% each. Each time you apply for new credit, you ding your score. (Exception: if you’re shopping for a mortgage, all inquiries within a 45-day time frame will count as a single inquiry.) Also, consumers with the best scores hold a variety of credit accounts – for example, a mortgage, an auto loan and a credit card. Now that you know what goes into a credit score, you need to analyze your own score and determine the reason it isn’t as high as you’d like it to be. Visit AnnualCreditReport.com to obtain free copies of your credit report each year from all three of the credit reporting agencies (Equifax, Experian and TransUnion). First, correct any errors. Next, examine the reports in light of the bullet points above. For one person, a low score might be due to late payments or collection accounts. For someone else, high balances. Another person may have “thin” credit – that means insufficient information has been reported and FICO is unable to assign a score. Building your credit means addressing the specific issues that affect your score. If you’re unsure what factors are causing your score to dip, contact the reporting agency and talk to a customer service rep. Address the specific reasons your score is low. If you prefer to pay cash and avoid revolving debt, that’s great. Don’t change! Just use that conservative financial attitude to your advantage. Report your rent. Experian and TransUnion now accept rent payments for inclusion on your credit report. Rent payments must be uploaded by third-party service like RentalKharma (currently free), RentReporters ($10 per month) or WilliamPaid (free when you pay your rent from your bank account via the site). None of these services depend on landlord participation. Note that although the rent payments will show up on your credit history, they do not yet factor into your FICO score. Put at least one household bill in your name. In general, utility, internet and phone service providers only show up on your credit report if the account is in collections. This is starting to change, though. Some major providers are experimenting with payment reporting. Find out if yours does. Don’t ask anyone to co-sign for you. A better way to establish your financial independence and build a healthy score and history is to start with a bank account and a secured credit card. Maintain a bank account. Bank accounts don’t factor into your credit score, but the relationship you have with your bank might lead to financing opportunities. Consider opening an account at a local credit union. They tend to offer more generous terms (i.e., no-fees) on checking and savings accounts. And they might be a good resource for a small car loan or for that credit card you hope to obtain. Or you could apply for a secured loan, using your cash assets as collateral, which will show up as an installment account on your credit report. Get a credit card. If you can’t get a traditional card, get a secured card (not a prepaid debit card). Before you apply for any card, be sure the card issuer will report your payment behavior to all three credit reporting agencies. Use the card sparingly. Pay one bill each month – your cell phone, for example – with your credit card, and pay off the credit card balance each month. Set them both up as automatic payments and you won’t have to worry about due dates. Avoid paying for everyday expenses like groceries with a credit card until you establish a proven track record of paying off the balance every month. Maintain steady employment. Employment is not part of your credit score, but it does show up on your credit history. When the time comes to apply for a mortgage, stable employment for at least two years – in addition to a good score and a clean credit history – is required by most lenders. Practice great financial habits. Pay all of your bills on time. 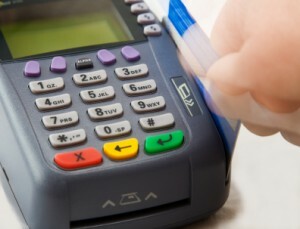 Your payment is reported by a computer to a computer. While it’s true that in some cases later payments carry worse consequences, ultimately late means late. A payment will be marked as “past due” if it is late at all, even “only” one day late. Also, your credit report cannot explain to a reviewer that you had extenuating circumstances. Only whether your bills were paid, and whether they were paid on time. If you run into financial difficulties, work out a payment plan with your creditors before you miss a payment. The truth is that it’ll be hard to have a top credit score without using credit cards to some extent. But remember that they are only one small element of your score, and you certainly never have to carry a balance. Guest Post Author Bio: Kimberly Rotter brings nearly 20 years of practical knowledge along with a solid post-graduate education in business and marketing. Her expertise is also drawn from real-life experiences including tough economic times. She has a thriving family, two southern California homes, a retirement account and a stock portfolio. Neither rich nor poor, Kimberly advocates good financial sense, planning for the future and treasuring relationships. It can be done but you have to be diligent about paying it off after. I know so many people who have left it. This is all very good to know! My sister is trying to build her credit and I definitely need to have her read this. Hope it’s helpful. Good luck to her. I started building my credit by getting a credit card with a very low limit. I think my first limit was $100! I couldn’t get into any trouble with it but it definitely helped build my credit. Me too. I got a secured card when I was 18 and used it to build my own credit. It worked great. At the same time, not having anyone co-sign can lead to serious consequences if you’re not careful, If you are, then this is great advice! True. We need to be honest with ourselves about our behaviour. We know if we aren’t accountable. Remember to get installment loans as well. Don’t look to get a lot of credit cards just one or two and keep the balance low if not paid in full. Agreed. Keeping the balance low shows you don’t rely on credit which banks like. Great tips! These will really help build who want to build their credit score, but do not want to use their credit card very often. This is a great one, I definitely learned a few things. I feel like credit cards are often preached as the best option but there are other options out there. Also the breakdown of how your credit score is determined is great also, I had a vague idea but this definitely helped out. Glad to hear it. All of the information can get confusing so a breakdown is helpful. I’m so glad to know that you do not have to have a credit card in order to have good credit. I am committed to living debt free! I hope you keep that commitment. You will be much better off.